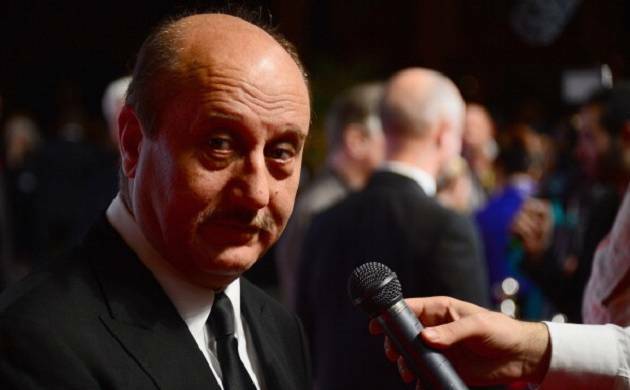 Anupam Kher has thanked filmmaker-producer Mahesh Bhatt for giving him a break in films with "Saaransh". The 62-year-old veteran actor took to Twitter where he congratulated the director on the 30th anniversary of his production house Vishesh Films. "Wonderful to be part of celebrations of #30YearsOfVisheshFilms. Will always be full of gratitude for @MaheshNBhatt Saab for #Saaransh", tweeted Kher, alongside the pictures from the party. Bhatt also thanked the actor for being a part of his journey through Vishesh Films. "Anupam when one looks at life through eyes of gratitude, the world becomes a magical place. I thank you for your part in my journey. Thank you!" wrote Bhatt. The director credited veteran scriptwriter Salim Khan for being a guiding force throughout his career. "Thank you Salim Saab for giving us the opportunity to be grateful!"